Put lines and wrinkles to bed for good with the ultimate anti-aging moisturizer and night cream. 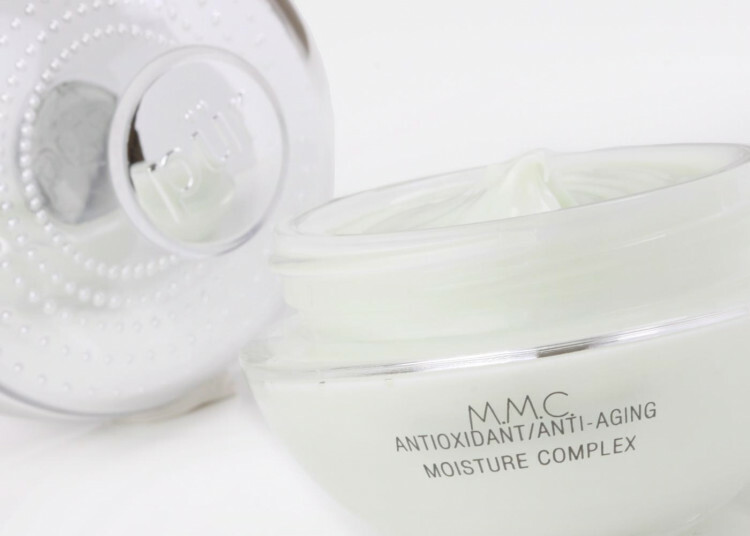 Mineral Moisture Complex (now called MMC) works while you sleep to reverse the visible signs of aging, environmental stress and free radical damage. This moisture-rich cream and anti-aging, hydrating moisturizer is clinically proven to reduce the appearance of wrinkles by 30% in 14 days and is proven to improve the appearance of skin tone and texture in as little as 10 days. Apply liberally after cleansing and after applying any serums, day or night. This moisturizer is not only a great moisturizer but also anti aging. When applying, you don’t need much. I ordered this because my FAVORITE face lotion get a lift was sold out. This is a little drying for me so I use it at night and the the cloud moisturizer in the morning and it works well. Hasn’t replaced my favorite which I will be reordering as soon as it’s available but still good. Started using this a few weeks ago and have already received compliments on my skin. I bought this product because I needed a night cream. This brings great moisture and does great during the day or night. I didn’t have any breakouts even with the first use, which usually happens with my sensitive skin. Will definitely continue to use this product. I really like this product. I will be returning to buy it. So far it moistures and did not dry out my face. I am on the oily side and dry around my mouth. This is simply the best moisturizer around! It gives your skin a healthy dose of moisture without being too heavy. Highly recommend! Love it! Moisturizes without making my skin more oily! My skin feels great! Only reason I gave this 4 stars is because the smell isnt my favorite. This moisturizer feels so good on my skin! I’ve only been using it for about 1 week and I’m already feeling the difference. I will buy again. Does anyone know if this product has SPF? I love this moisturizer. It dries fast and does not give you an oily or shine look! Love this stuff a little goes a long way and its lasting much longer than I thought it would for twice a day use almost 4 months. I absolutely loved the mascara, no gloppiness, no smudges. The moisturizer is the best I have ever used. 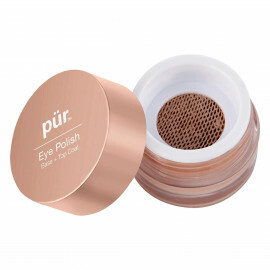 I love Pur cosmetics and have been using it for years. Okay for a nighttime moisturizer. I use this as my nighttime moisturizer. I’m really not a fan of the smell, but my face feels really good in the morning, so I can live with the smell while falling asleep. It’s pretty thick feeling on my face, but I again don’t mind since I’m just going to sleep. Before purchasing, I read other reviews of discoloration happening in the moisturizer itself. Mine does get brownish in color, but I started mixing it around every night and no longer really notice that happening. All in all, I might purchase again. I have used many high end and expensive products hoping for great results, but I have to say that this cream is better than any other I have tried. The results are visible in a few weeks. The fact that it is cruelty free is a top selling point for me. This is my "go to" moisturizer. Luv the texture and the smell. It fully absorbs without feeling greasy. Great at night and great under makeup. I am a repeat purchaser. One of the Best moisturizer I’ve ever used!!! It doesn’t dry out and keeps ur face so smooth all day. best moisturizer for dry skin ever! This is the best day moisturizer for dry skin I have ever used. It provides intense hydration, but still absorbs completely which is really hard to find. Perfect under makeup! I put this on at night around my mouth and eyes, and once a week on my whole face... I have seen such a big difference since before I've used this. My skin is so firm yes still soft and smooth, and you can't see my laugh lines and wrinkles barely at all. My mom also uses this and she has looked so much younger lately. This moisturizing instantly absorbs into my skin, with no greasy residue! My skin loves the refreshed, healthy feeling that results from using the Mineral Moisture Complex.....and my wallet loves the affordable price! This is an amazing product! I have been using this product for about a month now and have seen a big difference in my skin. My skin appears much smoother and softer. I put this on before going to bed and wake up to smooth, glowing skin. It has made my skin look much younger. You have to try this to believe it. I use this morning and night, daily. It is the only product I have ever used besides Cetaphil, because they all cause me to break out or upset my skin. I will always use this, because it is more moisturizing than other products, without being greasy or irritating. I have very dry skin and I like a cream vs a lotion. Even though this has cream consistency, it's soft and just get absorbed in. Leaves my skin feeling really soft and nice. I like that it doesn't have a bad smell to it. I've tried LOTS of cream, this is my favorite! Amazing, wonderful worth every penny! I know it's a bit pricey but with what it does for my skin......well worth it! I really look forward to putting this on my face; I didn't grow up with good skin care habits, so I never really cared before, but now that I have mended my ways, this is the cream that I make sure is on every night. I've finished one jar now, and I have to say that my skin really looks quite good. I've had lots of compliments on it too, so how can I not love it? Thanks! Makes a huge difference for me! Love this. It's actually the first moisturizer I've used and emptied the contents. Honest. I don't care for greasy moisturizers either and this just soaks in for me. I know everyone is different but for me this works great. Just wish it was a bit less expensive. This is a rich cream.You can instantly feel and see your skin is moisturized.Great for mature skin. My skin tends to be normal to dry, and heavy moisturizers tend to make my skin break out and feel oily. 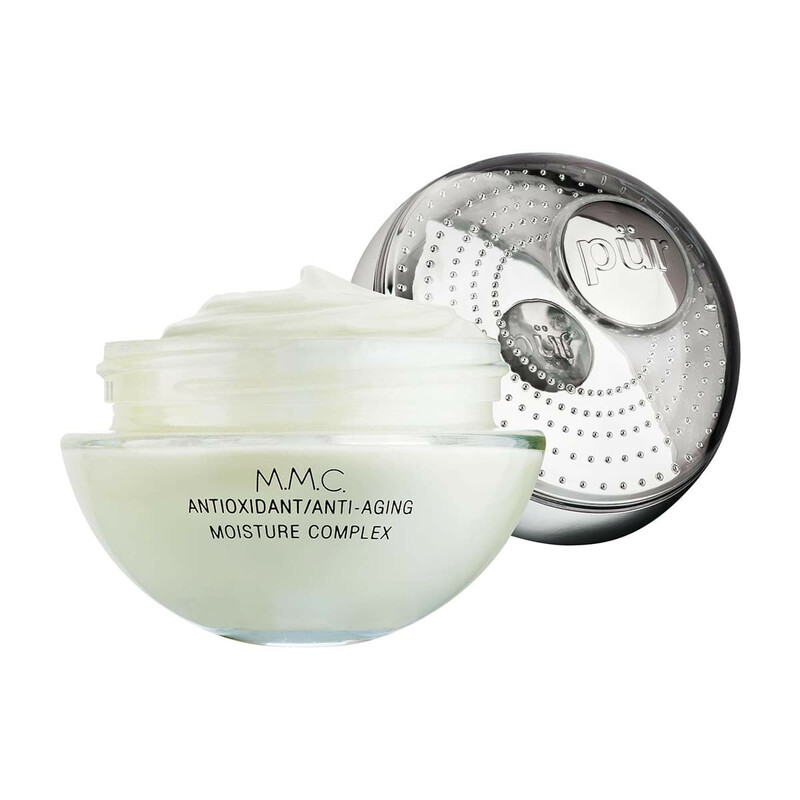 With Pur minerals moisture complex, my skin feels soft, but not oily. I love this cream. About 10 years ago I became allergic to all makeup and couldn't use anything for moisturizer. The skin on my face dried out and seemed to flake away. It was hard to the touch. I tried many moisturizers touted as hypoallergenic with no success. Pureminerals Mineral Moisture Complex has worked magnificently for about two years now with no adverse affect. My skin is supple and soft. Thank you. i love this cream! My face silky and supple. One of the ingredient that caught my eyes it includes is copper. Heard its great for skin. I was always paranoid of facial creams because I have really oily skin. After trying samples of this product.. it changed my mind completely! It doesnt add extra oils to your skin; it just balances the oils, and keeps your skin smooth and moisturized. This is a must have! It goes great under make-up and I like it to use it with Under Control Matifying Gel. This moisturizer was light and didn't cause me to break out. I like it as a every day moisturizer. Since I have combination skin, my skin can be super dry in some areas and pretty oily in the T-zone. This moisturizer was good at hydrating without being greasy during the day. I prefer something richer as a night cream though. This has the perfect texture. Just a little goes a very long way. It is not too heavy or too light and does what a moisturizer should. I have sensitive skin and this is not irritating at all. Since using this my skin seems to be more neutralized, not red and ruddy any more. The smell is a little off, but it's not that bad and you cannot smell it all day. I will tolerate the scent because I like the moisturizer. If you have sensitive skin, give it a try. I am new to pur minerals products, and have not been disappointed with anything yet. I intend to continue using what I have, and trying more down the line. 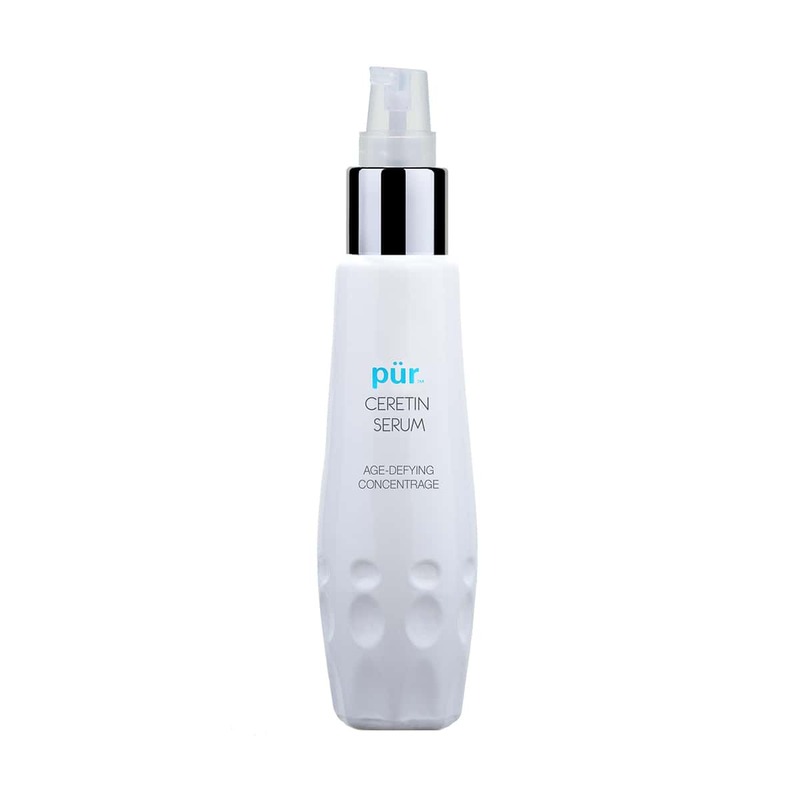 I love this product because it is light weight on the face and it goes a long way. Also, there is no fragrance which I love because I have sensitive skin. The cream did not give me any breakouts and it also did a great job of moisturizing my complexion. This product works very well to moisturize without being too heavy. It also helps with the fine lines. If I could afford to I'd use it as a body cream! I love this cream because you only have to use it sparingly and it makes your skin feel soft. I have noticed a difference in my face, it looks brighter . I have been looking for a good moisturizer and found it. This product is awesome! I first received it as a sample with my order. I noticed a difference the first day. My skin felt like silk. After 2 days, I knew I had to have it. I purchased a jar at a local retailer and am hooked! My skin is clearer and brighter. I've tried other brands but none delivered like Pur. Thank you. This product is absolutely fabulous!!! You can visibly see the results after using this product for a couple of weeks. You can actually see the texture of your skin getting smoother. I never ever want to be without this product!!! Put simply, since I started using this, my husband has said "wow your skin looks great", and I wasn't wearing makeup! The moisture complex I ever used! I was very happy with this moisturizer. I've been trying to find one, and finally found it! I wish it was a tad bit cheaper, since I can no longer work. Oh well, I'll have to save! Love,love,love!!! This face cream! I have tried many creams that are far more expensive than pur minerals. And they don't deliver half the results that this does. Leaves my skin soft and hydrated and I can see improvement in the elasticity of my skin also the fine lines are not so noticeable. I'm hooked and this is my face cream forever! If your on the fence go ahead and take the jump over!! You will not be disappointed!! I just received this back ordered product actually rather more quickly than I expected. This moisturizer is amazing. I have been using a well known department store brand that I love but I love Pur Minerals and wanted to try this one. This moisturizer exceeded all my expectations and I am pretty sure it is the one I will be using from now on. It is number one on my list. 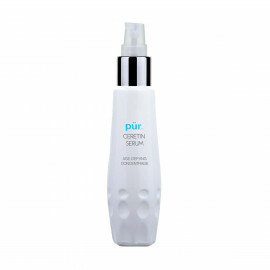 The skin drinks this moisturizer in and leaves the skin soft, not greasy. 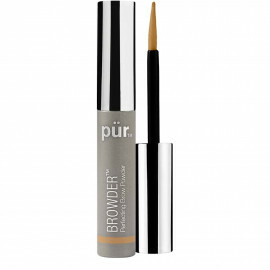 It leaves no residue on top of the skin leaving it ready for your base or foundation primer. Even after using the mineral make-up, my skin still feels soft and moisturized. I have never had a break out or negative reaction to Pur Minerals. In fact, just the contrary. Pur minerals product seem to nourish and heal my skin when I have scrubed a little much or am in the elements too much or have a blemish caused by too much iodized salt. I think this would be good for any age. I will be 60. I think the moisturizer for dry skin is not necessary for my combination skin yet. This one is perfect. I have really been enjoying this product line and hope to acquire many more products from Pur Minerals. By the way, the customer service is great and very helpful. You Rock! I just got a sample of this when I placed my most recent order. I really love the way it feels on my skin. It absorbs fast too and I haven't broken out with this, unlike most moisturizers that I've tried. I'll probably order this in the near future.